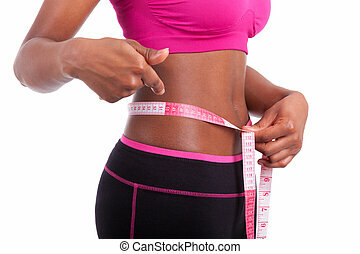 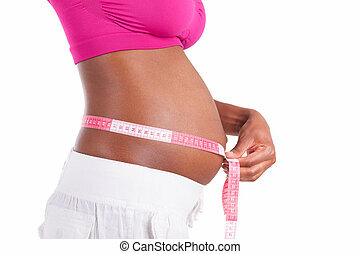 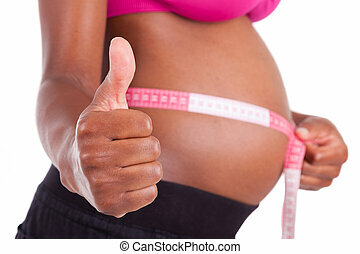 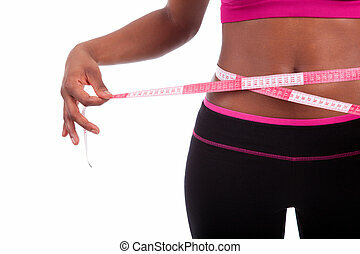 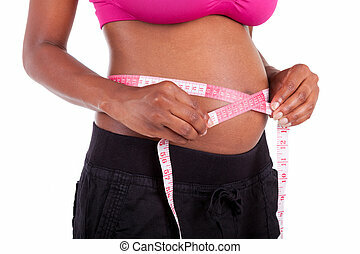 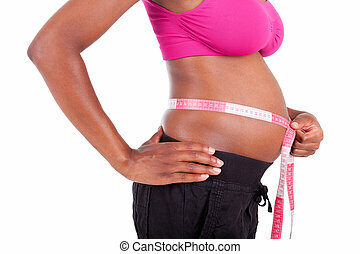 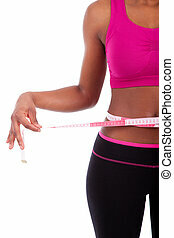 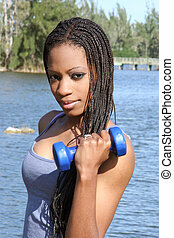 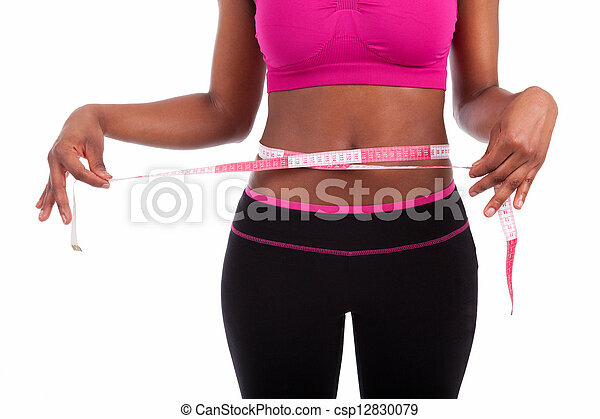 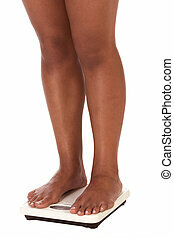 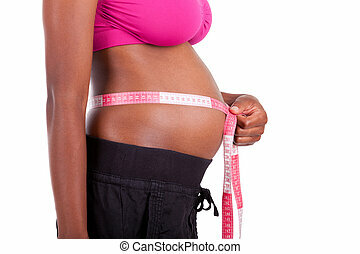 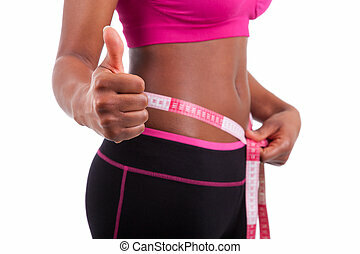 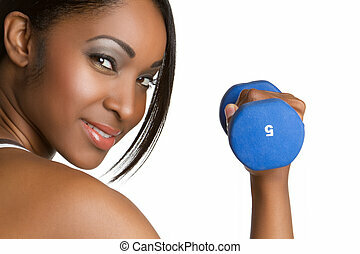 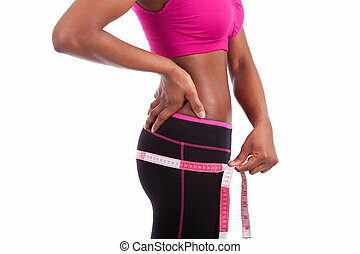 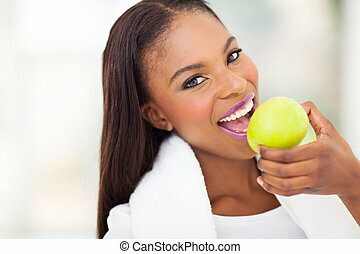 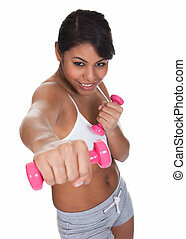 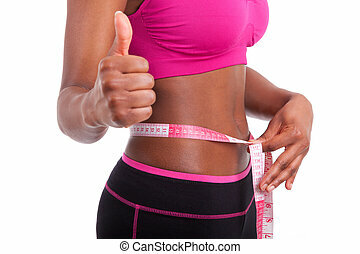 African american fitness woman measuring her belly, isolated on white background. 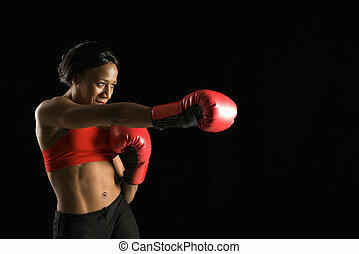 African American young adult woman wearing boxing gloves throwing punch. 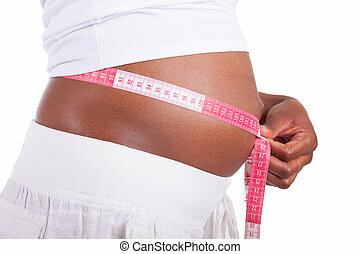 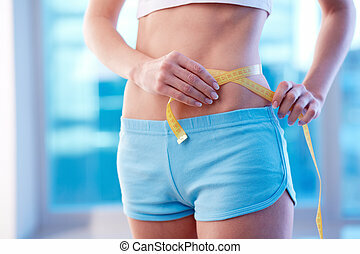 A tanned slim young woman measuring her waistline.